No telecommunications or internet service provider that has entered into a franchise agreement, right-of-way agreement, or other contract with the state of Minnesota or a political subdivision, or that uses facilities that are subject to such agreements, even if it is not a party to the agreement, may collect personal information from a customer resulting from the customer’s use of the telecommunications or internet service provider without express written approval from the customer. No such telecommunication or internet service provider shall refuse to provide its services to a customer on the grounds that the customer has not approved collection of the customer’s personal information. The body voted 66 – 1 to adopt the language into the Senate omnibus jobs bill, SF 1937. In the House, an almost identical amendment was adopted into HF 2209, their economic development omnibus bill. The Senate version added the last sentence, preventing ISPs from denying service unless a customer allows their ISP to collect data. 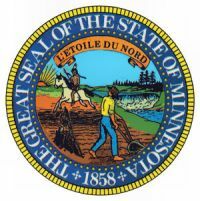 Latz’s office told us that, since federal law is silent on this particular issue, the state may enact this measure to protect Minnesotans without contradicting federal law. Last fall, the Obama administration’s FCC issued a rule to allow subscribers more control over the collection and dissemination of their personal data, including browsing history and real-time location. The Senate voted to block the rule; the House voted to reject it. Backlash was widespread, including from constituents describing themselves as both liberal and conservative. Trump supporters on Reddit called on their President to veto the bill. It seems that the only people who consider the proposal a good idea, are the federal lawmakers who collect campaign contributions from Comcast, CenturyLink, AT&T, and the like. The Minnesota House and Senate bills are now being resolved as the two bodies work out discrepancies for a final version. The language of the amendment is pretty comprehensive, applying to any manner in which an ISP could engage in business with residents, businesses, or institutions in Minnesota. We haven’t heard about any other state taking this approach to protect their citizens, but we’re curious to see where this leads.